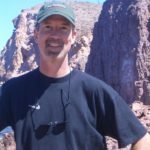 I’m standing next to a pedestal that anchors an Apache Mountain Spirit Dancer that towers over 20 feet. From the brick colored bandana shielding the face, to the bell-adorned waist belt, to the frilled skirt, to the moccasin boots, sculptor Craig Dan Goseyun captures the pride of this warrior to the last detail. 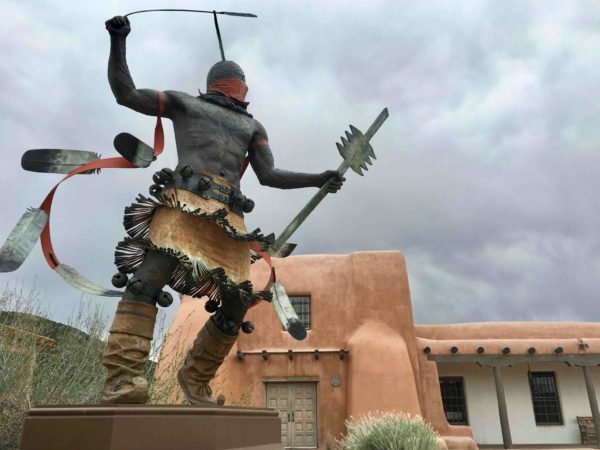 The piece is one of several staged in the courtyard outside the Museum of Indian Arts and Culture on Santa Fe’s Museum Hill. If a trip to America’s oldest capital city is in your future, you owe it to yourself to visit at least one of its 14 museums. Depending on your length of stay—and interests—you can learn more about Southwestern art, Native American art and culture, and New Mexico history, including stories on military veterans dating from the days of the Spanish Conquistadors to present-day conflicts in the Middle East. Whether you’re already an admirer of her works or a neophyte, a stop at the Georgia O’Keeffe Museum is a real treat. 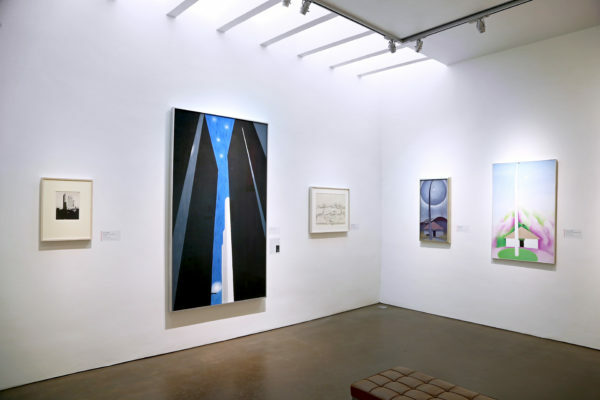 Opened in 1977 with 94 of her works, the collection now features nearly 1,000 of her pieces; 149 photographs, 669 sketches and 163 finished paintings, drawings, and sculptures. Museum goers can enjoy seeing an abridged collection in about 90 minutes, which includes watching a short film on her life. Admission—$13 pp. On a recent trip to Santa Fe, my wife and I took in the Ghost Ranch Georgia O’Keeffe Landscape Tour, along with a visit to Abiquiu, the village where the iconic artist lived and had her studio. The home, which is 60 miles northwest of Santa Fe, is open seasonally to the public for tours, but you should make reservations well in advance. Three types of tours are available: Standard Weekday—$35 pp, Standard Saturday—-$45 pp, Behind the Scenes—$65 pp. 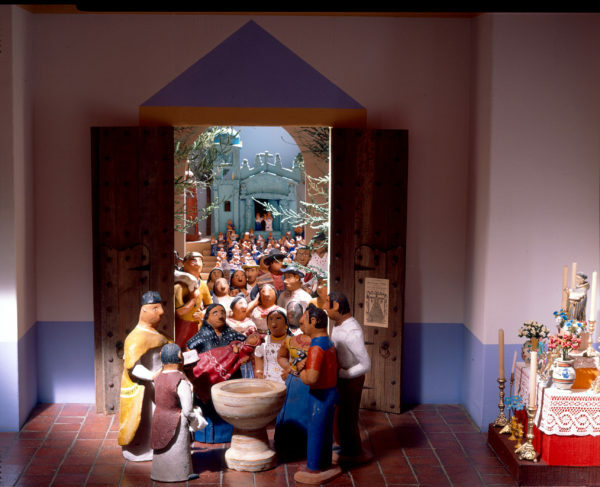 Founded in 1953 by Florence Dibell Bartlett, the Museum of International Folk Art houses the largest collection of international folk art in the world with more than 130,000 objects from over 100 countries. Bartlett, a wealthy Chicagoan who began visiting New Mexico in the 1920s, channeled her passion for honoring craftsmanship towards creating this venue. Organized geographically, the eclectic art represents cultures from Africa, Asia, Europe, Latin America and the Caribbean, North America, and Oceania. Of interest beyond Beadwork from Across the Globe, and New Mexican Colonial and Contemporary Hispano Saints (Santos) on display are current exhibitions: FLAMENCO: From Spain to New Mexico. Running ‘til September 10, 2017, the exhibit has over 150 objects celebrating this dance style as an art form. No Idle Hands: The Myths & Meanings of Tramp Art, showcases a style of woodworking from the late 19th and early 20th centuries centered on notching and layering discarded fruit crates and cigar boxes. It runs through September 16, 2018. Admission—$12 pp. 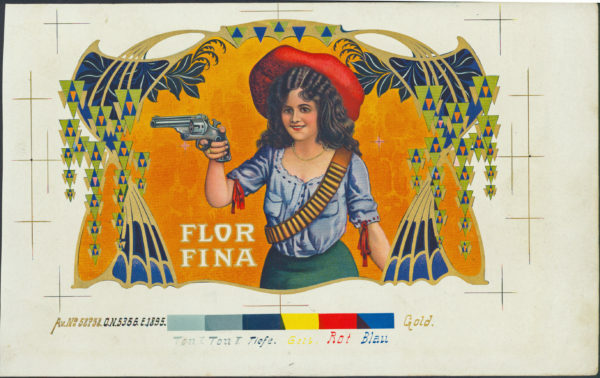 Annie Oakley (Flor Fina) cigar box label. Fray Angélico Chávez History Library, Loy Glenn Westfall Collection. Do you know the year New Mexico became a state? What role did the battleship U.S.S. New Mexico play in World War I and II? How familiar are you with the Taos Rebellion? Two or three hours in the New Mexico History Museum sheds light on these subjects, as well as information spanning 500 years in the Land of Enchantment. Opened in 2009, the museum has exhibits that enlighten visitors through computer interactives, photographs, artifacts, oral histories and films. From the early history of indigenous people and Spanish colonization, to the Mexican Period, to travel and commerce on the Santa Fe Trail, to trappers and outlaws, to the scientists at Los Alamos behind the Manhattan Project, the venue takes people back in time. On display through February 11, 2018, is Radical Southwest, a film series that “explores the Summer of Love with a New Mexico twist.” Playing July 12 is Monterey Pop, a film featuring Simon and Garfunkel, the Mamas and the Papas, Ravi Shankar, Jimi Hendrix, Janis Joplin, Otis Redding, the Who and the Byrds. Easy Rider plays December 13. Museum admission—$12 pp. Buffalo Soldiers. NMHM. 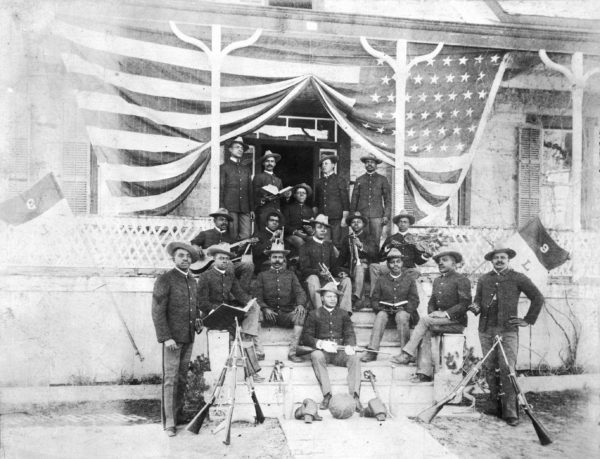 Non-commissioned officers from Troop L of the 9th Cavalry, or Buffalo Soldiers, are shown at Ft. Wingate, N.M., in 1899. Photo by Imperial Photo Gallery, courtesy of the Palace of the Governors Photo Archives, Neg. No. 098373. If you’re in Santa Fe for a long weekend, seeing one or two museums may fit your itinerary. A week-long stay could net a visit to five or six. But go! You’ll leave enriched with insights into the Southwest. 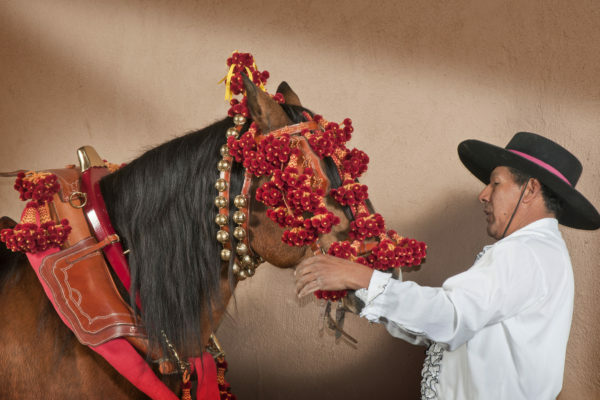 Details: To learn more about Santa Fe’s museums, upcoming exhibits and admission, log on to https://santafe.org/Visiting_Santa_Fe/Museums/. Many are within walking distance from hotels and rental properties close to The Plaza, a National Historic Landmark. The Museum of Indian Arts and Culture, the Museum of International Folk Art, the Wheelwright Museum of the American Indian and The Museum of Spanish Colonial Art are on Museum Hill, 1.9 miles from town. Kim McHugh is a Lowell Thomas award-winning writer. His stories have appeared in Colorado Expression, Tastes of Italia, Hemispheres, SKI, Luxury Golf & Travel and Colorado AvidGolfer. Sunset Trail cigar box label. Fray Angélico Chávez History Library, Loy Glenn Westfall Collection.